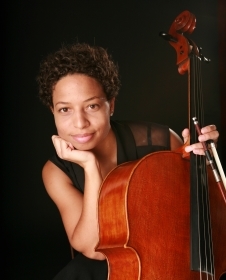 Joy Payton-Stevens began playing the cello in her hometown of Cleveland when she was just four years old. She attended Interlochen Arts Academy for high school, and then continued her studies at the University of Southern California under the tutelage of Ronald Leonard. She has been a member of the New World Symphony in Miami, Florida, and the Charlotte Symphony in North Carolina, and joins the Seattle Symphony in the fall of 2014. In addition to performing music, Joy is passionate about teaching music to kids and has participated in several programs to bring music education to underserved communities. Outside of music, her other interests include cooking, reading and most sports.